August 9-12, 2016, from 6:30pm - 9pm! Just behind Lidl's in Ballincollig you'll see a soccer pitch across the road. There will be a Fortress built! 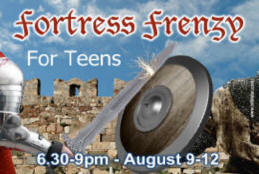 Fortress Frenzy is a jam-packed teen activity where you will find what the Bible says about life and eternity! You discover exactly why you NEED to live differently than today's culture. 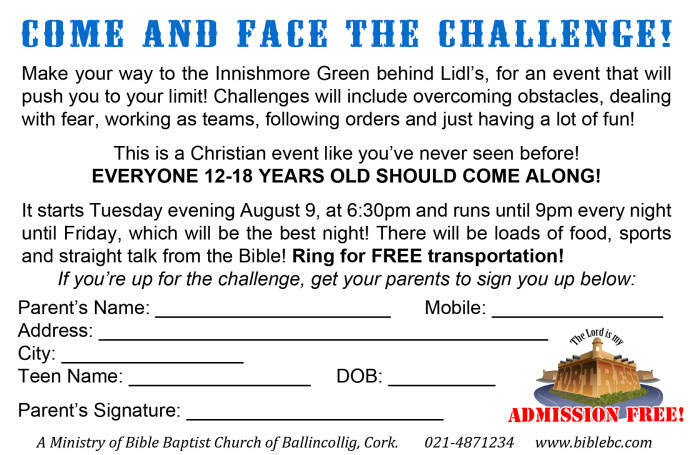 Each night, we will meet at the Innishmore Green behind Lidl's at 7pm for 2 1/2 hours of heart-thumping activities including preaching, singing, skit, crazy sports, team games and food! Most importantly, each night's activities will challenge every young person to live for more than just now, but also for eternity. Check out photos of previous Target the Heart Activities!